Description: PicoZip is an easy-to-use award winnning file compression utility with lots of features. PicoZip supports ACE, ARC, ARJ, BH, CAB, GZ, JAR, LHA, LZH, RAR, TAR, TGZ, WAR, Z, ZIP, ZOO, MIM, XXE and UUE file formats. PicoZip can also create self-extracting archives in 8 formats. Other features include: 128/256-bit AES encryption, CD/DVD burning, automated quick backup, Windows integration, email support, split ZIP files and repair ZIP files. Description: If you are having corrupt archive files in your system and you are looking for a way to recover your data from them, then SysInfo Archive Recovery would be an ideal solution for you. It supports recovery of multiple types of compressed archive files, such as: ZIP, RAR, TAR, TAR.Gz and 7z files. It performs a quick scan of selected archive files, fixes the corruption errors and recovers maximum possible data from them. It is an easy-to-use tool. Description: Bandizip is ultra-fast file compression software with an easy-to-use interface. It allows you to create your own compressed files such as ZIP, 7Z, TAR, ISO and extract most popular compressed files like RAR, etc. Bandizip allows the users to preview compressed contents with right click menu on the Windows Explore. In addition, Users directly see an image file contained in compressed ZIP, RAR, 7Z, LZH or TAR files without extracting. Description: Strong and secure file compressor for text, multimedia and raw data. BulkZip features high performance technology that allows you to create compressed archives. It ranks first in multiple benchmarks regarding strength and speed. 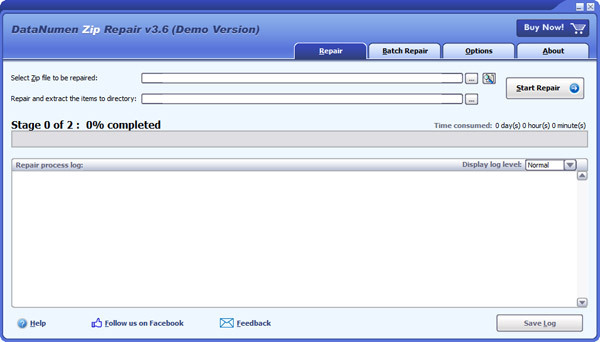 Description: DataNumen RAR Repair(DRAR) (formerly Advanced RAR Repair) is a powerful tool to repair corrupt RAR and SFX archives. It scans the corrupt or damaged archives and recover your files in them as much as possible, so to minimize the loss in file corruption. Currently DRAR supports to recover all versions of RAR and SFX archives. Description: DataNumen Zip Repair (DZIPR) (formerly Advanced Zip Repair) is a powerful tool to repair corrupted Zip and self-extracting(SFX) files. It can scan the Zip archives and recover your data in them as much as possible, so to minimize the loss in file corruption. Currently DZIPR can fix all sub-types of Zip files and all kinds of self-extracting files, also it will extract recovered items in the fixed Zip or SFX archive. Description: Download Free Export Outlook to PST - OLM to Outlook converter software is easy tool for converting MAC Outlook 2011 OLM files from MAC machine mailbox to Windows machine mailbox. Simple Outlook OLM file to PST converter software is available free of cost for testing and licensed is available for affordable prices. 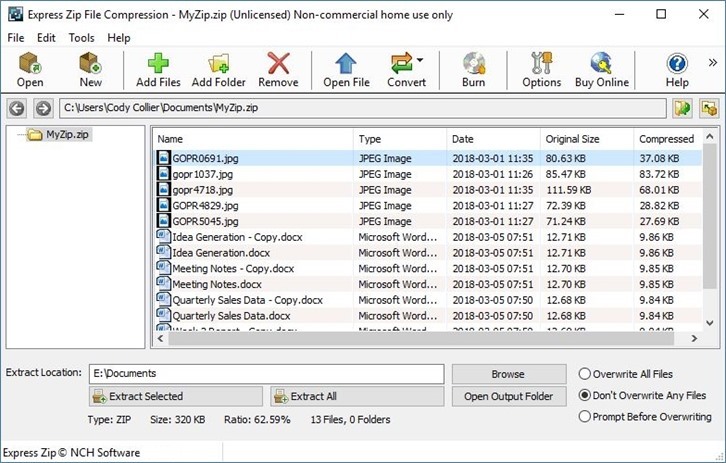 Description: Express Zip is a compression and archiving tool to create, extract, and manage zipped files and folders. An archiving and compression tool to easily create, edit, manage and extract zipped files and folders. Compress files to reduce size for email transmission or archive data using less disk space when backing up information. Fast and efficient file compression lets you create zip files of your important documents, images, music and more.